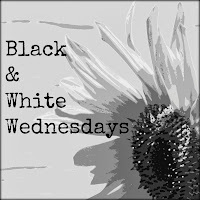 Black & White Wednesday - Jill Ruth & Co. This lovely still life was found in my daughter's new house when we stopped to see the progress they were making. Hmmm...I just realized how neat these nails would look in one of my rusty old cans. 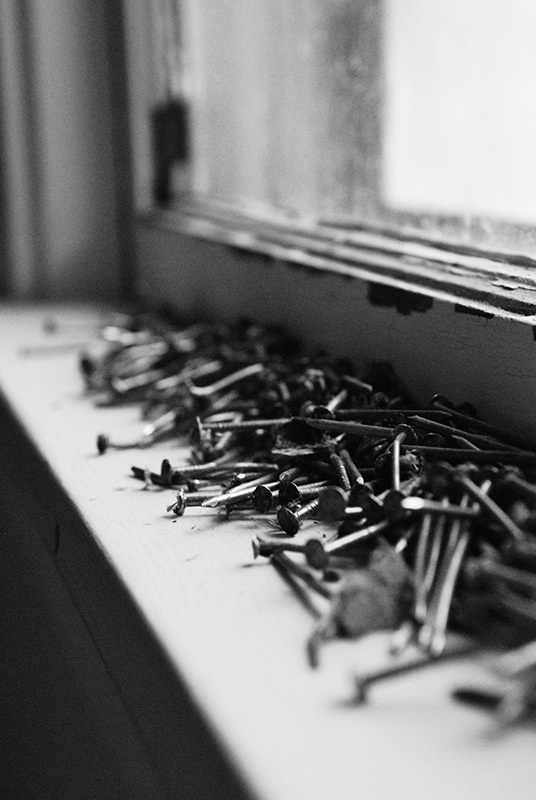 Not that I don't already have lots of old nails, but there could be room for more. They've served their purpose well for many years. I don't think my son in law would gaze upon these with the fondness that I do. It took him hours to pull them all out!! Really interesting shots. You see beauty in unique places and I'm so glad you share that with us. That looks like an awful lot of work! If you love flea-markets come to France , the perfect hunting ground! neat images. really like the last one. Perfect collection for black and white - and the light from the window adds so much to the shot. 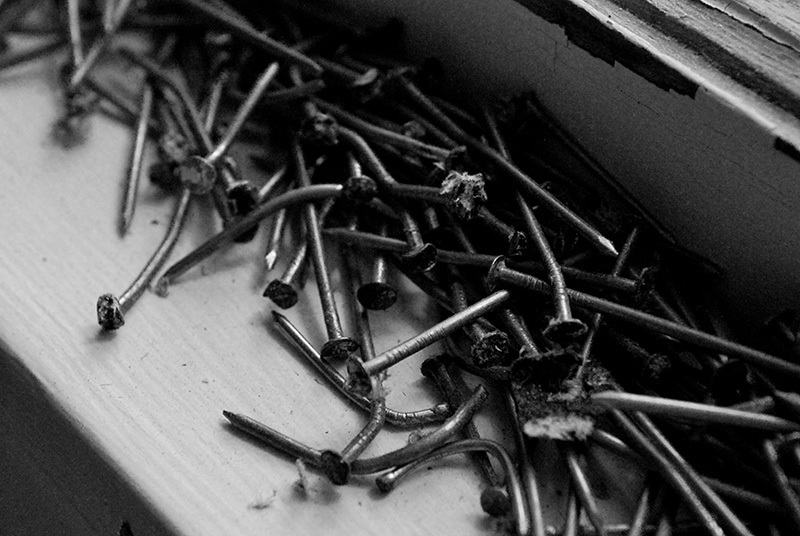 I'm sure I wouldn't have wanted to pull all those nails out...egads - so much work! Thanks for linking up! I really like that second shot! Beautiful shots!!!! 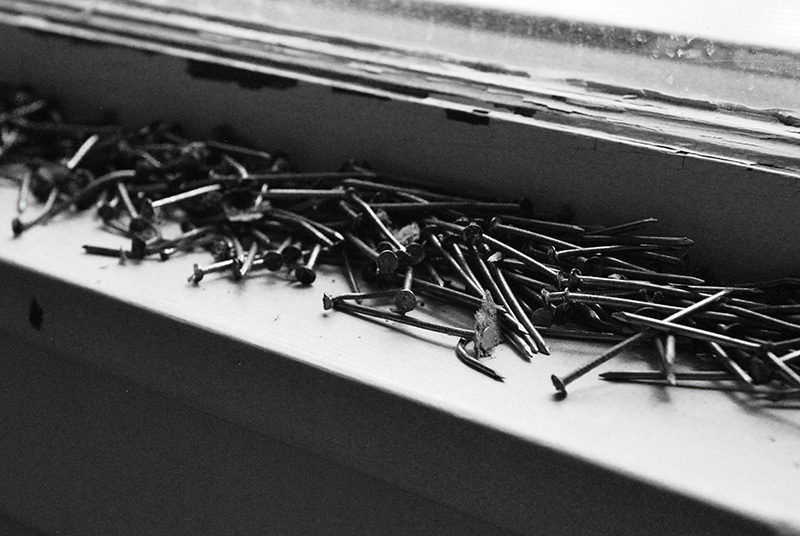 And I think you need some of those nails!